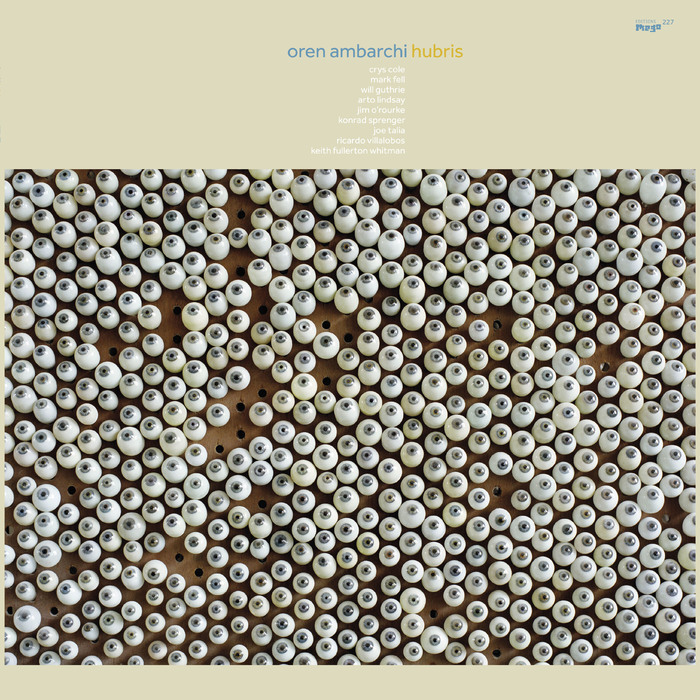 Hubris continues the exploration of relentless, driving rhythms heard on Ambarchi’s Sagittarian Domain (2012) and Quixotism (2014). Where those records looked to krautrock and techno for their starting points, the sidelong opening track here begins from the perhaps unlikely inspirations of disco and new wave, drawing particularly from Ambarchi’s love of Wang Chung’s soundtrack to William Friedkin’s To Live and Die in L.A.
Leaving behind the song-forms of these reference points, Ambarchi weaves a sustained and pulsating web of layered palm-muted guitars from which individual voices rise up and recede, eventually setting the stage for some lush guitar synth from Jim O’Rourke. Arnold Dreyblatt collaborator Konrad Sprenger contributes overtone-rich motorized guitar, pushing the piece into a satisfying intersection of shimmering minimalism and rhythmic drive that smoothly builds up until the entrance of Mark Fell’s electronic percussion in its final section. After a short second part, in which Ambarchi, O’Rourke and Crys Cole pay tribute to the skewed harmonic sense of Albert Marcoeur with a track built from layered bass guitar figures and abstracted speech, the long final piece pushes the concept of the first side into darker and denser areas. Joined by electronic rhythms from Ricardo Villalobos and the twin drums of Joe Talia and Will Guthrie, the layered guitars of the first piece are transformed into a raw and tumbling fusion-funk groove that calls to mind early Weather Report or even the first Golden Palominos LP. As this stellar rhythm section rides a single repeated chord change into oblivion, a series of spectacular events emerge in the foreground: first, aleatoric synthesizer burbles from Keith Fullerton Whitman, then slashing skronk guitar from Arto Lindsay, until finally Ambarchi’s own fuzzed-out guitar harmonics take center stage as the piece builds to an ecstatic frenzy. 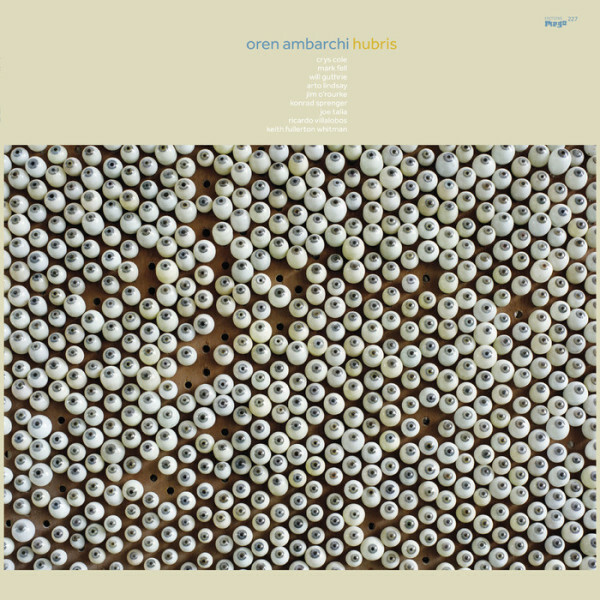 Few artists could hope to include such an incredible variety of collaborators on one record and still hope for it to have a unique identity, but Ambarchi manages to do just that, crafting three pieces that emerge directly out of his previous work while also pushing ahead into new dimensions.